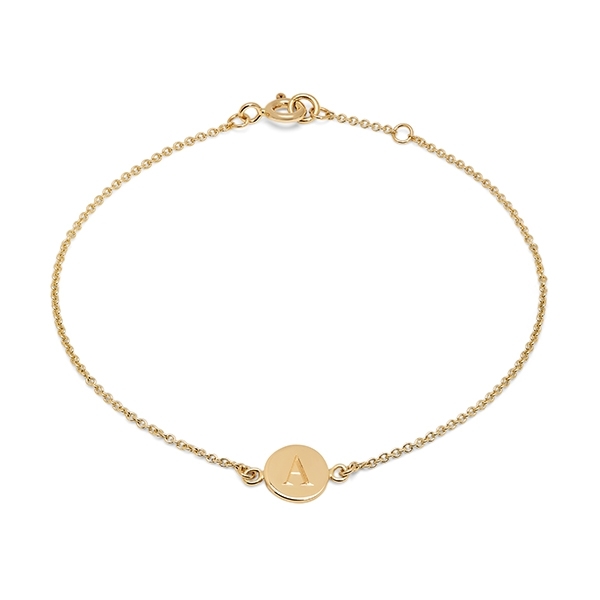 These sweet and pretty little bracelets come in solid 9kt yellow gold with a round or heart shaped charm and are designed to be personalised. They can be hand engraved with a single initial making them an ideal and thoughtful gift. They have been incorporated into Binky’s collaborative collection with Philippa Herbert as they reflect her love of gift giving and the importance of generosity. The bracelets are now her go to present for those she is close to as they are so personal and in her words, “they suit everyone!”. They are perfect for layering with other bracelets in the collection. They can also be made in solid silver or solid 9kt rose or white gold, however as bespoke items they would take a few weeks to make up. Total length of bracelet 7" with an adjuster at 6.5".